Hey guys! I just wanted to tell you quickly about a new place to dine here in Salt Lake County. My friend Jacqueline has just opened up her restaurant called Jacqueline Cooks! This is an Americana restaurant that does homemade take-away food at great prices. 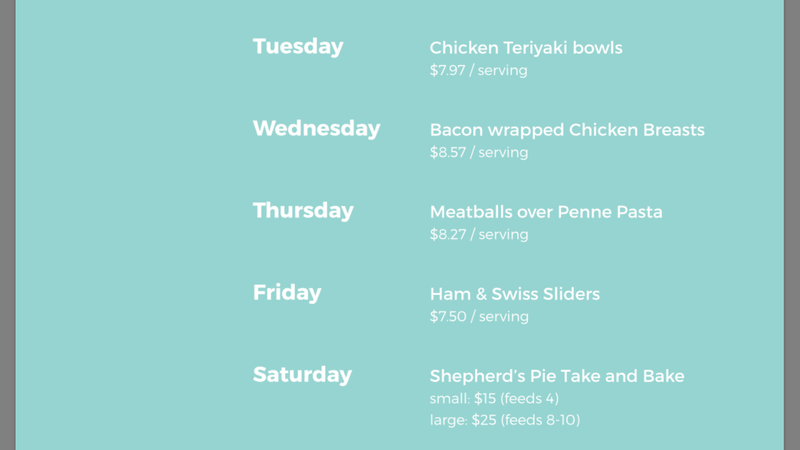 The way it works is each week Jacqueline will post her menus on the facebook page. Then you tell her what you want, how many servings, your pick up time and how you will pay. 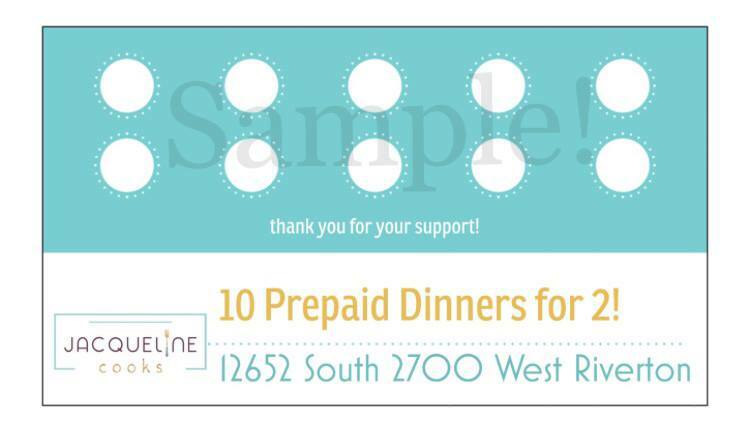 There are many options for payment but you can purchase a punch card that pays for meals in advance. The restaurant is located at 12652 South 2700 West Riverton and there are plans to expand into Utah County in the future. Now of course the most important question is if the food is any good? My answer is it is delicious! At least for someone like me I can get a home cooked meal at way less hassle and expense than making it for just me. Here are some photos of the food. We are all looking for ways to save time and eat yummy and by eating at Jacqueline Cooks you get to help a really nice person to boot. It’s so much better than fast food for not much more and helps a single Mom not some giant company. Give it a shot! I know you will love it! How can I get a hold of you? Your store in Riverton is closed and there’s no note on the door of where you’ve moved to. I would really like to use the gift certificate that I got for Christmas.